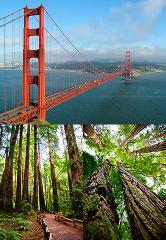 Join us for a narrated and scenic drive from San Francisco across the Golden Gate Bridge, explore the beauty of Giant Coastal Redwoods at Muir Woods and appreciate the astonishing views from Sausalito’s picturesque waterfront. Elegance and expedience. A truly memorable afternoon in the heart of the Wine Country. 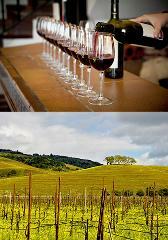 Tour and taste the vintage at two highly regarded wineries in Sonoma Valley (wine tasting fees are included). Enjoy an unforgettable day in the heart of California’s famous Wine Country. Visit three highly regarded wineries (wine tasting fees are included). 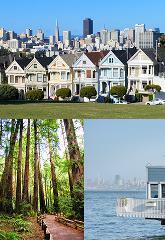 Join us for a narrated and scenic around San Francisco and then across the Golden Gate Bridge to explore the wonder of Giant Coastal Redwoods at Muir Woods and enjoy the breathtaking views from Sausalito’s picturesque waterfront. 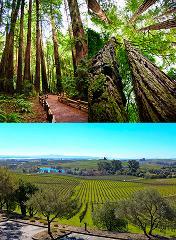 Combine the Half Day Wine Tour with the Muir Woods Tour for an unforgettable all day excursion. 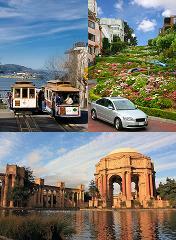 We specialize in small group tours for a more personalized and enjoyable experience.